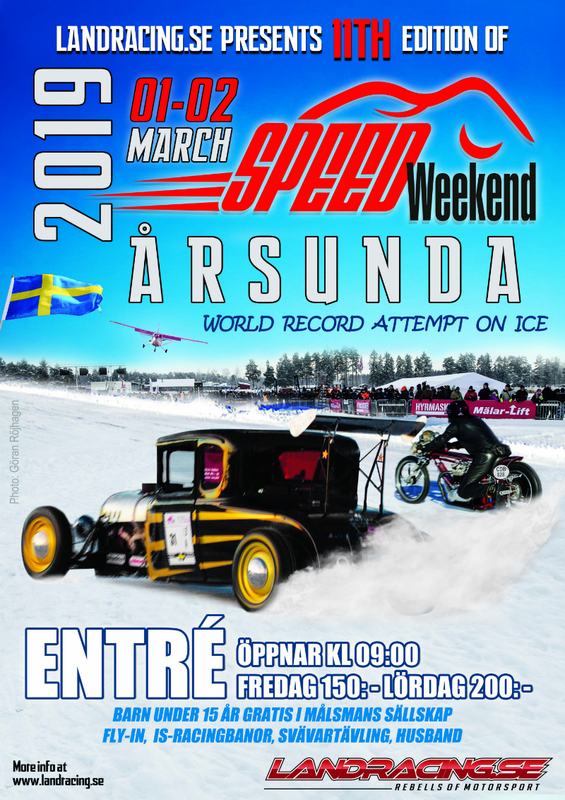 To register for Speed Weekend 2019 you need to be registered at Landracing.se, and update your profile by class, vehicle, fuel and starting number. The second step is to log in to Landracing.se, the third step register in the Land Speed Record on ice. If you have any problems please contact us and we will help you all the way to the competition. « För er som undrar när det är dags kommer svaret nu.